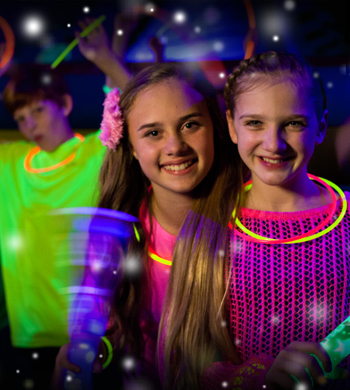 Check out our Evening Pop-In-Playtime with Glow in the Dark lights! Each paying child gets a Glow Necklace! 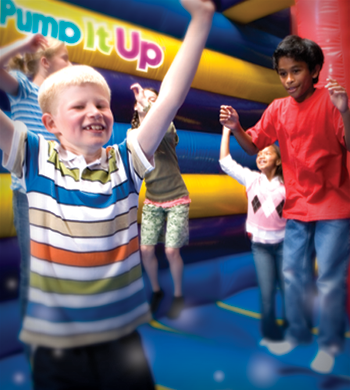 Pump It Up Pop-In Playtime is offered on special days and times! Kids 12 and under are welcomed. Socks are required.